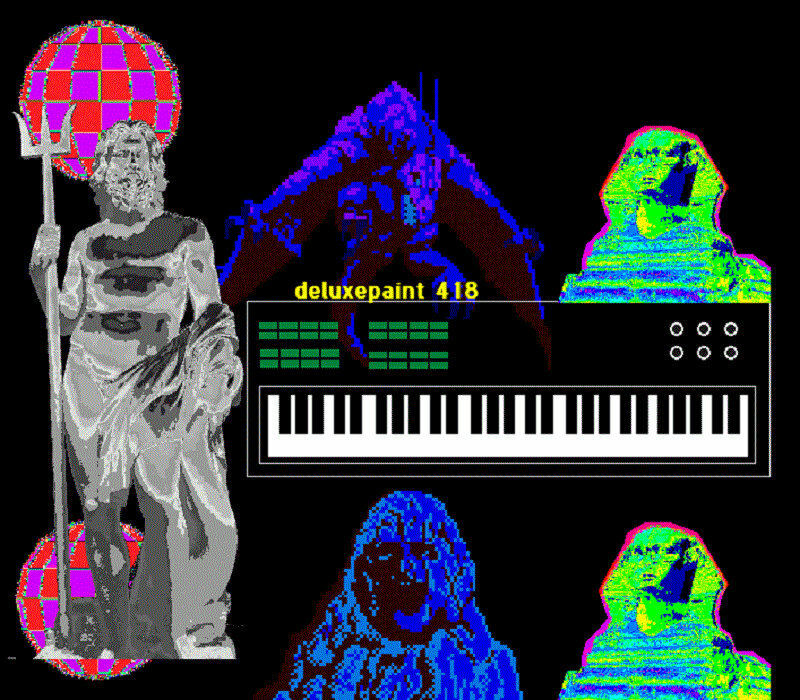 Right now I present to you this hip video from Deluxepaint 418. This track is pretty damn cool for being made on a computer from 1989! Deluxepaint 418 makes all his music on Amiga Protracker, a vintage software that ran on the Commodore Amiga computer from the late 1980s early 90s. Check it out! This entry was posted in Bedroom Producer, Electronic Music, Musical Curiosities, Underground Music, Video, Vintage Computing and tagged 8 bit music, 8 bit music composer, 8 bit music converter, 8 bit music download, 8 bit music free, 8 bit music generator, 8 bit music maker, 8 bit music maker free download, 8 bit music maker online, 8 bit music software, amiga protracker, amiga protracker download, amiga protracker manual, amiga protracker mods, amiga protracker modules, amiga protracker samples, amiga protracker tutorial, deluxe paint 418, deluxe paint 418 area, deluxe paint 418 project, deluxe paint 4187, underground electronic music, underground electronic music 2013, underground electronic music blog, underground electronic music download, underground electronic music forum, underground electronic music free download, underground electronic music labels, underground electronic music london, underground electronic music magazine, underground electronic music nyc on February 12, 2015 by DemonicSweaters. Here’s a really cool mix of some great Jungle / Drum & Bass stuff made on the Amiga using Pro Tracker. It’s crazy how good this stuff still sounds when it was made entirely in 8 bit! This entry was posted in Bedroom Producer, Electronic Music, Musical Curiosities, Underground Music, Vintage Computing and tagged 8 bit music, 8 bit music composer, 8 bit music download, 8 bit music free, 8 bit music maker, 8 bit music software, drum and bass, drum and bass 2014, drum and bass arena, drum and bass artistas, drum and bass artists, drum and bass download, drum and bass downloads, drum and bass music, drum and bass radio, drum and bass tracks, drum and bass youtube, jungle beats, jungle beats elc, jungle beats hardwell, jungle beats instrumental, jungle beats mp3, jungle beats music, jungle beats producer, jungle beats song, jungle beats songs, jungle beats trance on February 5, 2015 by DemonicSweaters.